Bertie's Pitch and Putt opened to the public in 1982 and has provided a valuable amenity to Sligo and the surrounding counties ever since. We are open from 9am until dusk, 7 days a week. The course consists of 18 holes, the longest being 70 metres and the shortest, 43 metres. We cater for all age groups, from juveniles to senior citizens and all equipment is provided including clubs, balls and tees. You can also bring your own equipment should you wish to do so. We will also provide you with a scorecard and pencil, should you require them. Groups are also catered for and can be pre-booked by calling the clubhouse, the mobile number or by e-mail via the contact form on the Contact Us page. Bertie's Pitch and Putt is owned and run by the Donaghy family since its opening in 1982. 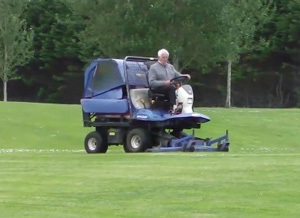 The course itself is maintained by Bertie and the greens are cut two to three times a week by a qualified greenkeeper. The course is set on 11 acres of land which is surrounded on three sides by trees, providing seclusion from the main Bundoran road that passes the course. 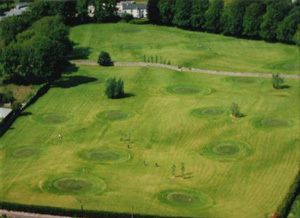 Originally longer, The course was shorted and tee mats added to comply with PPUI regulations for acceptance into the Pitch and Putt Union of Ireland. The club is resident to the Sligo Inter County Pitch and Putt team, who's members compete in competitions throughout the country.